5 Bedroom Detached House To Rent in London for £7,124 per Calendar Month (Calculated). Welcomed by the front path passing through the well kept front garden leads to the quaint entrance to this gorgeous family home furnished to standard fit for a show home! The hallways leads to a well equipped kitchen, separate dining room, large living room with doors opening to the south facing garden, a third reception room and WC. Upstairs is comprised of 5 beautiful bedrooms each with character and charm, a family bathroom, separate WC and master en-suite. AVAILABLE now for long term rental or SHORT LET. Hillcroft Crescent is a favoured location which is in and amongst some of the most desirable roads in Ealing and places the property close to many nearby schools which include St Benedict's, Durston, Harvington, St Augustine's, Montpelier and Notting Hill and Ealing High. 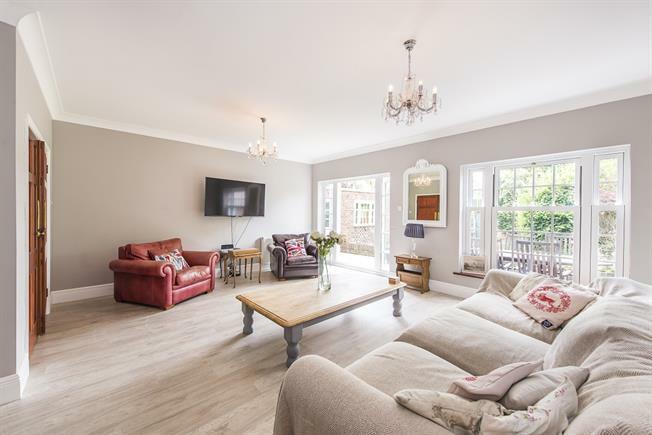 Via the West Walk which runs adjacent to the property you can walk to Haven Green and Ealing Broadway station which is just 0.3 miles from the property. Ealing Broadway station is served by the District and Central Underground lines, Overground trains towards Paddington and Heathrow and is currently undergoing a major transformation preparing for the introduction of Crossrail predicted early 2019.